Last week, the headlines screamed that computer shipments had plunged roughly 11 percent in the second quarter, after dropping a disastrous 14 percent the quarter before that. While it’s hardly good news, we’ve known for a while that the rise of tablets, “good-enough computing,” and (maybe, just maybe) a lackluster response to Windows 8’s new-look interface have been bad for PC sales. But wait! A closer look at the numbers shows an interesting trend—if not exactly upward, then less steeply downward. Some signs indicate that we may be past the worst of the bleeding—though you shouldn’t expect to see actual growth out of the PC industry any time soon. Enduring a 14 percent drop in one quarter and then an 11 percent drop in the next one definitely isn’t good, but it’s important to note that those drops don’t mean PC sales are down a total of 25 percent for the year. The data is year-over-year, comparing each 2013 quarter to its corresponding quarter in 2012. So computer shipments in the second quarter of 2013 dropped by 11 percent compared to the second quarter of 2012, not compared to the first quarter of 2013. Got it? Knowing that, the latest numbers are less devastating. Yes, the first quarter’s year-on-year decline was the sharpest ever, dropping from 88.6 million PCs shipped in Q1 2012 to about 76.2 million PCs in Q1 2013, according to IDC. (Data from Gartner, another research group, yields roughly the same numbers.) Fourteen percent! Geez. But when you compare the Q2 2013 shipment number to the Q1 2013 shipment number, you realize that the drop hasn’t been excruciating over the past seven months alone. 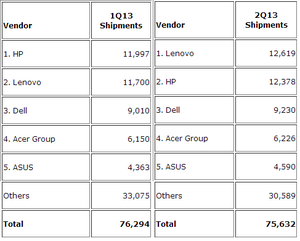 According to IDC, 75.6 million PCs shipped in Q2 2013—a drop of just 600,000 units from the first quarter of the year. According to IDC, the decline in PC sales in the United States is slowing—and a few vendors even saw an uptick. Remember: Shipments are down a lot compared to last year. But comparing one quarter to the next, the PC shipment decline may be slowing down. Even more heartening, the drop in shipments was considerably smaller in the United States than in the rest of the world: Gartner says second-quarter U.S. shipments declined by just 1.4 percent year over year, while IDC says U.S. shipments dropped by 1.9 percent year over year in Q2. Why such relatively smooth sailing? Simple: In the United States, we may—may—already be over the worst of the tablet hump. As I and many others have said before, tablets are a big part of the reason why PC sales are hurting. No, most people aren’t replacing PCs outright with tablets, but people are delaying their purchase of new computers, satisfied with the base-level oomph that their slates provide. Chou reiterated that the practice is definitely occurring. 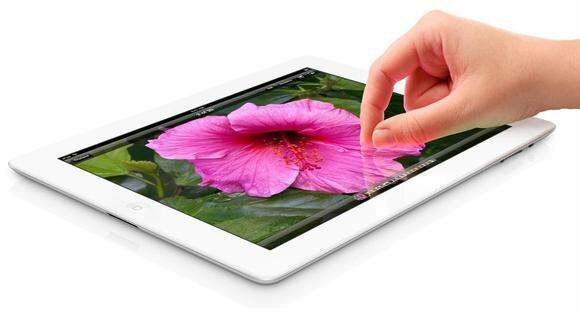 Tablets remain very popular, of course, but Gartner thinks that the category's damaging effect on PC sales in the United States will diminish as the market matures. Here’s the thing: Growth in the PC industry requires both sales to new customers in developing countries and regular upgrades by people who already own computers. If happy tablet users delay buying new PCs en masse, that’ll put a big hurt on PC shipments. And what do you know! PC shipments have plummeted over the past two quarters (remember: compared year-over-year), and have been shrinking for more than a year. But Mikako Kitagawa, principal analyst at Gartner, says the slim drop in U.S. figures during the second quarter may indicate that things are starting to stabilize. “But in other regions, [the loss of PC share to tablets] is going to continue quite a bit,” Kitagawa continues. And make no mistake: Even with a minimal quarter-to-quarter drop, the PC industry is still in the doldrums, especially on a global scale. 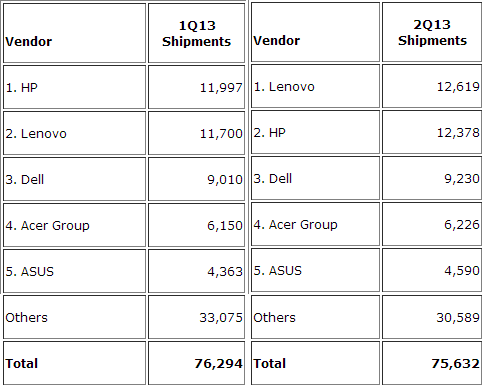 Indeed, both Gartner and IDC anticipate two to three years of continued decline in worldwide PC shipments. (Here’s hoping the United States fares better.) But to put a somewhat optimistic spin on things, current estimates predict that the PC’s decline over that time will be slight. The second-quarter results matched predictions from IDC and Gartner, and both Chou and Kitagawa say their firms anticipate that the worldwide sales slump will taper off to a low, single-digit decline for the rest of 2013. The ship is still rocking, but not as hard. Queasy stomachs, take heart. “Once the PC becomes a certain level of market size, shrinking into the size it’s supposed to be alongside tablets, it’s going to settle down and go back to more steady growth—not strong growth—going forward,” says Kitagawa. If PCs—and Windows 8.1—can give users compelling reasons to upgrade, they just might stop being the underappreciated microwaves of computing. Indeed, the PC’s stall is due to a wide variety of factors, but that’s a whole different story. For now, rejoice in the fact that, while things are still looking down, the PC industry’s prospects aren’t quite as bleak as they appeared earlier this year. And hey! If you consider tablets to be PCs in yet another form factor, the future has never looked brighter. Full disclosure: Both PCWorld and IDC are owned by International Data Group, but they share no editorial affiliation.